Tiberius Julius Eupator was a prince and Roman Client King of the Bosporan Kingdom. He was the son and heir of the Bosporan King Rhoemetalces by an unnamed wife and was of Greek, Iranian and Roman ancestry. When Rhoemetalces died in 153, Eupator succeeded him. Eupator reigned as Bosporan King from 153 until his death in 174. 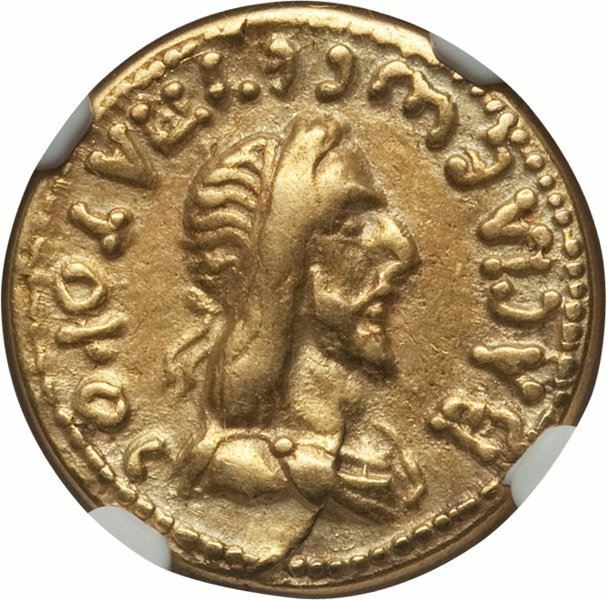 On coinage his royal title is in Greek: ΒΑΣΙΛΕΩΣ ΕΥΠΑΤΟΡΟΣ or of King Eupator. He was a contemporary to the rule of the Roman emperors Antoninus Pius, Marcus Aurelius and Lucius Verus. Eupator is mentioned in the writings of Lucian (Alexander 57). Lucian had witnessed envoys sent by Eupator to travel to Bithynia to pay the Bosporan Kingdom's yearly tribute to Rome. Apart from this, little is known on his life and reign as King. Eupator married an unnamed woman, and from this marriage had a son called Sauromates II who succeeded him in 174.